March RIF of NOVA News! March Forward with a Good Book! The EJK Mini Grant program, funded by the Ezra Jack Keats Foundation, supports creative and innovative activities that take place in class or in the community. The grants offer a public school teacher or librarian the chance to present a special project outside the standard curriculum or to support an engaging way to help students meet curricular goals. Successful programs have included a public story walk, a multicultural portrait project, a school garden, bookmaking, puppetry, and intergenerational storytelling. 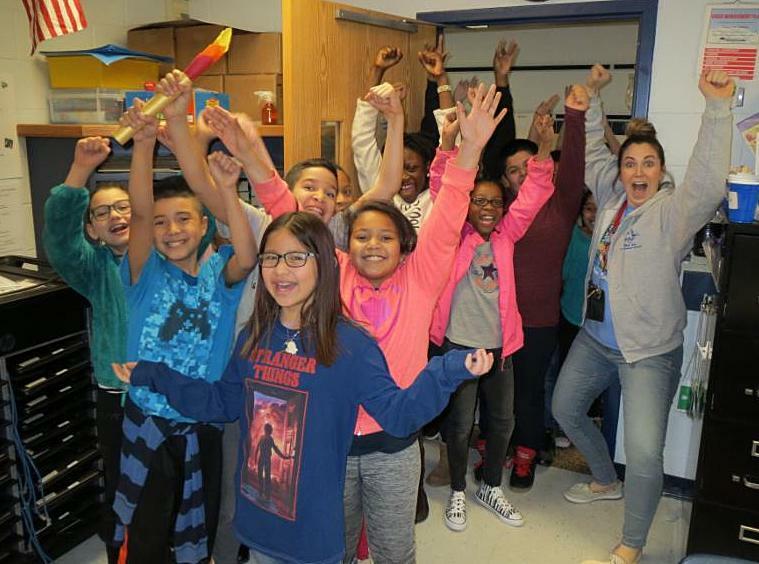 A Reston elementary school program was a winner in 2017. Maybe it could be a RIF of NOVA school in 2018! The deadline to apply is March 31. 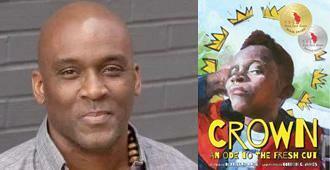 New writer Derrick Barnes won the Ezra Jack Keats 2018 book award for his work, Crown: An Ode to the Fresh Cut. Women's History Month book ideas! March is Women's History Month. To celebrate, A Mighty Girl has compiled a list of its 2017 Books of the Year for readers of all ages. The collection features over 2,000 girl-empowering books in over 200 book categories. That's a lot of book ideas for the girl and boy readers in your life! Click here to find out more about the range of books, which are divided into age categories, as you can see below! 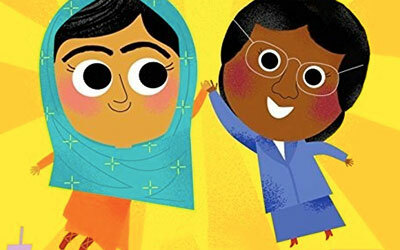 Ages 1-4: This Little Trailblazer: A Girl Power Primer by Joan Holub features many women who lead their fields, from computer pioneer Ada Lovelace to athlete Wilma Rudolph to prima ballerina Maria Tallchief, and more! 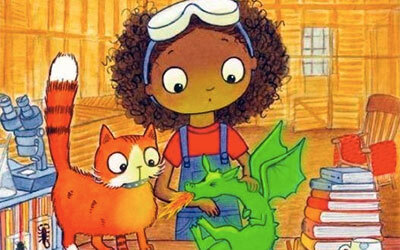 Elementary school: Zoey and Sassafras Dragons and Marshmallows by Asia Citro is a new early reader chapter book series that blends fantasy and real-world science. Preteen: A Dash of Dragon by Heidi Lang is an entertaining novel that combines all the best ingredients -- fantasy, humor, adventure, action, and a feisty heroine. RIF of NOVA BOOK DISTRIBUTIONS ALL OVER THE PLACE!!! 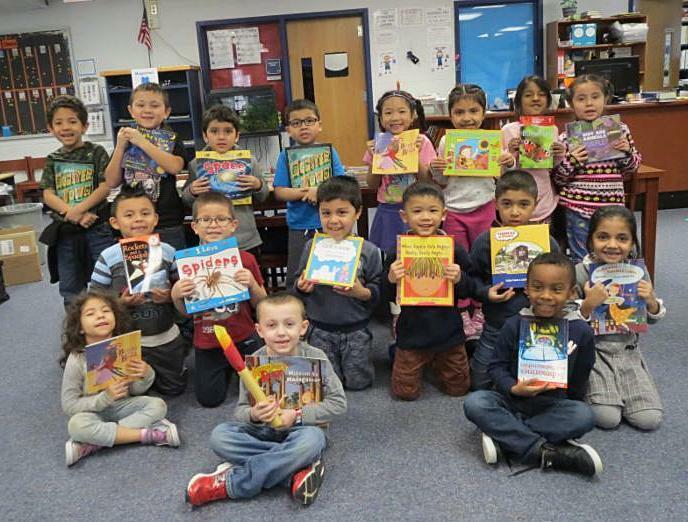 RIF of NOVA liaisons -- librarians, reading specialists, teachers, and volunteers -- are the creative force behind book distributions to children in the schools and sites in the RIF of NOVA family. 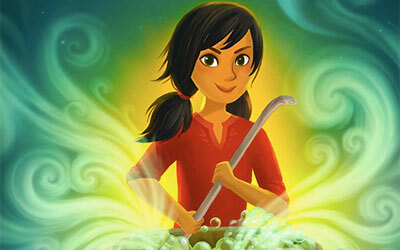 And are these book events clever, innovative, and fun for kids? You bet!!! Read on to learn about some of the most recent book distributions -- often tied to news events around the world! Bel Air Elementary School Went for Gold!!! 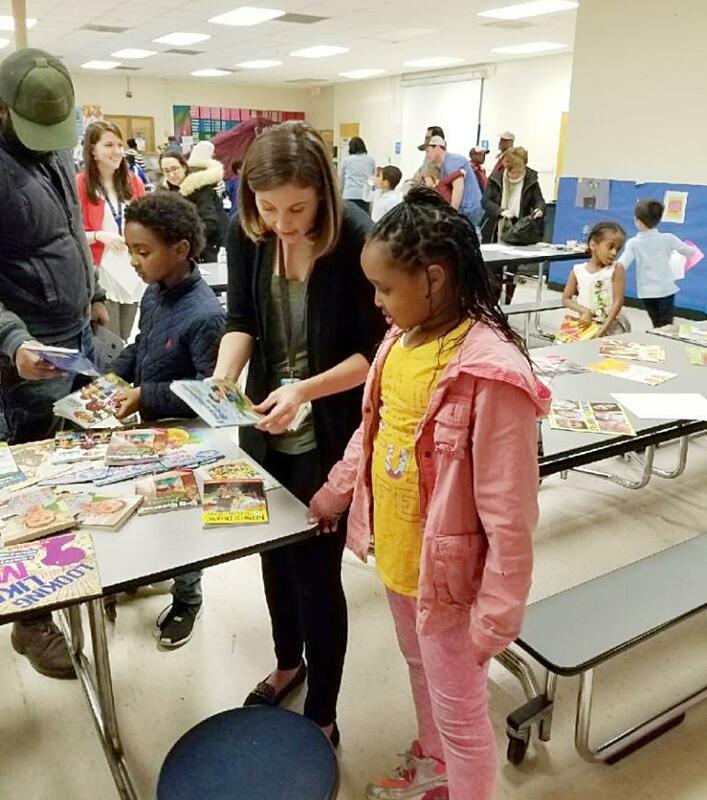 Bel Air Elementary School in Prince William County held a book distribution to coincide with the Olympic Winter Games in PyeongChang, South Korea -- the "RIF of NOVA Olympic Reading Relay." In honor of the winter sporting event, children passed a torch from class to class as they challenged each other -- and staff -- to read, read, read during the duration of the Games! Special thanks go to Bel Air librarian and RIF of NOVA liaison Cari Hammel, the creative genius behind the Olympic Reading Relay, for this very cool distribution idea! 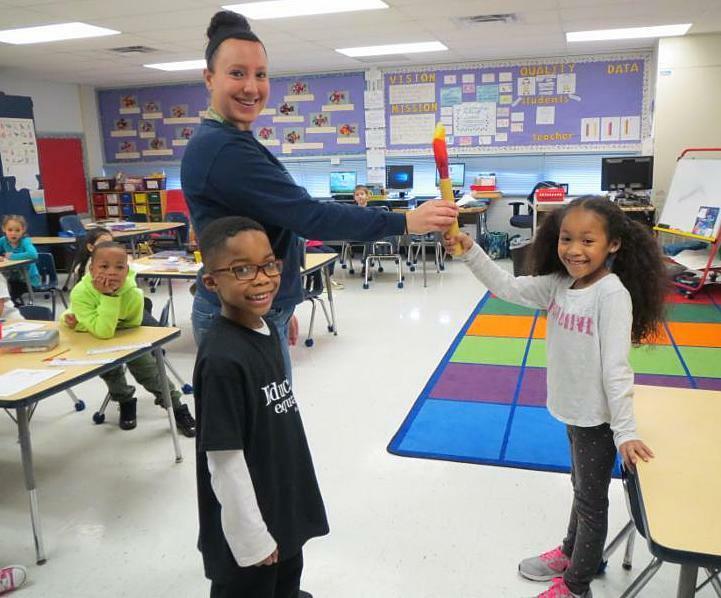 First grade teacher Ms. Hoover helped first graders with the torch exchange. 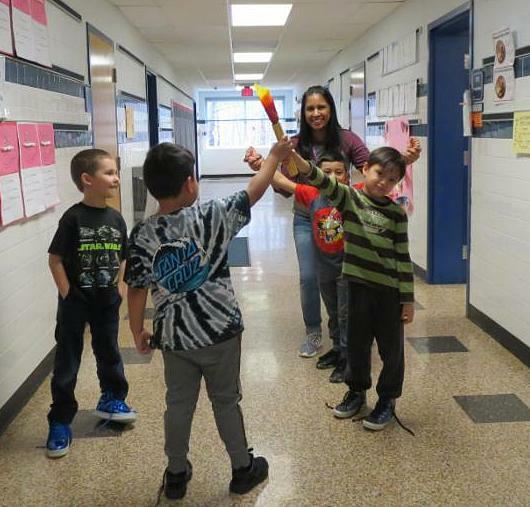 Kindergarten boys passed the torch in the Bel Air hallway with teacher Ms. Terezon enjoying the fun. The best gold medal of all was a new RIF of NOVA book and the chance to choose it "all by myself!" No doubt about it! It was a reading relay like no other...with happy fourth grade faces to celebrate their reading gold. Teacher Mrs. A. Brown (r) celebrated right along with her students! 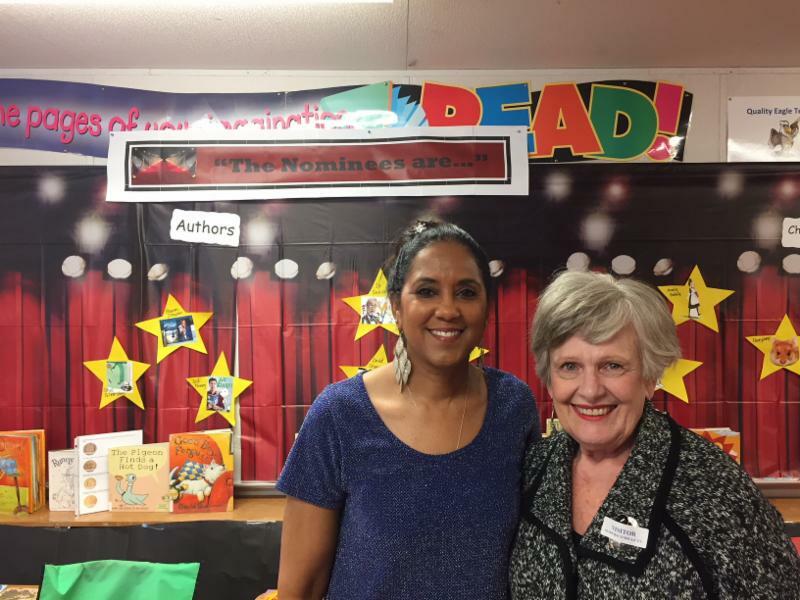 Oscar buzz was in the air at Marumsco Hills Elementary School in Prince William County as the school held its second book distribution of the year: "RIF on the Red Carpet." Students in K-2 and grades 3-5 nominated and voted for their favorite authors, books, and book characters. 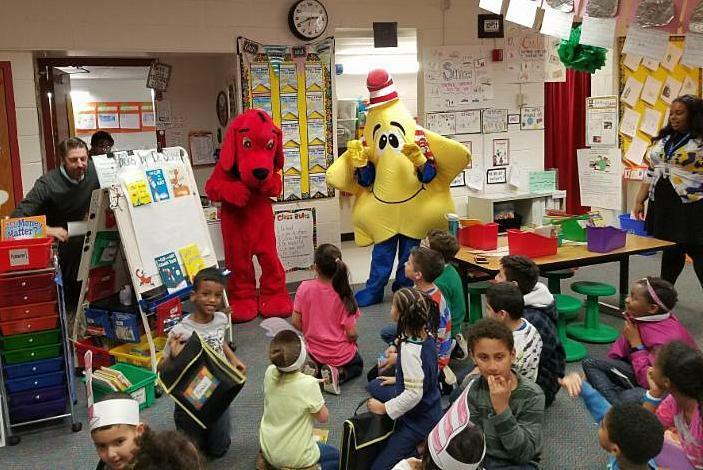 At their Academy Awards "ceremony" the following week, they walked the red carpet to find the classroom brightly arranged for their own Oscar night! RIF of NOVA liaisons Sharon Nottingham and Julie Platt helped announce the winners in those famous words: "And the winner is..." followed by a story by one of the winning authors. 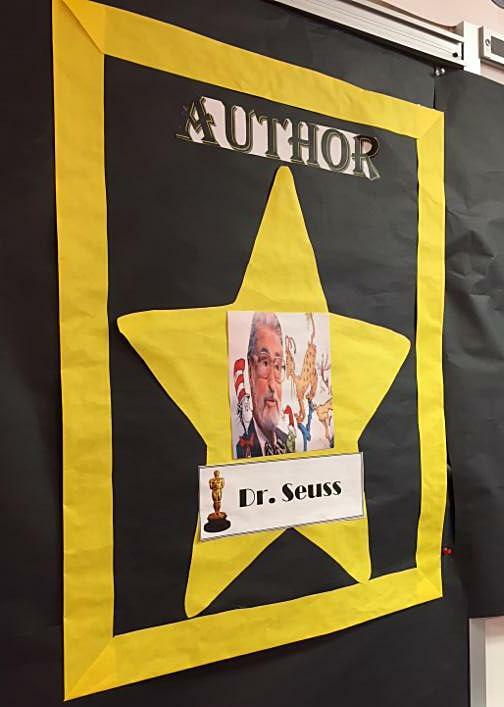 And the winning author for the K-2 children was...Dr. Seuss! They chose books in the According to Humphrey series as their favorite books and Humphrey as their favorite character. Liaison Sharon Nottingham (l) gave an Oscar-winning smile with RIF of NOVA co-president Nancy King. Grades 3-5 chose Diary of a Wimpy Kid, its author Jeff Kinney, and George Heffley as their favorite book, author, and character. 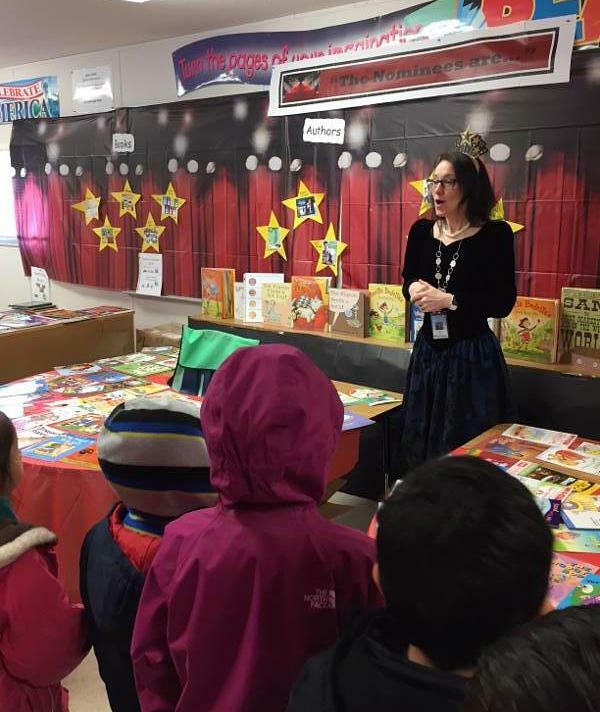 Dressed in her red carpet finery, Julie Platt, school librarian and RIF of NOVA liaison, told students about their great book choices! Two delighted first grade faces with RIF of NOVA books in hand from the Oscar ceremonies! 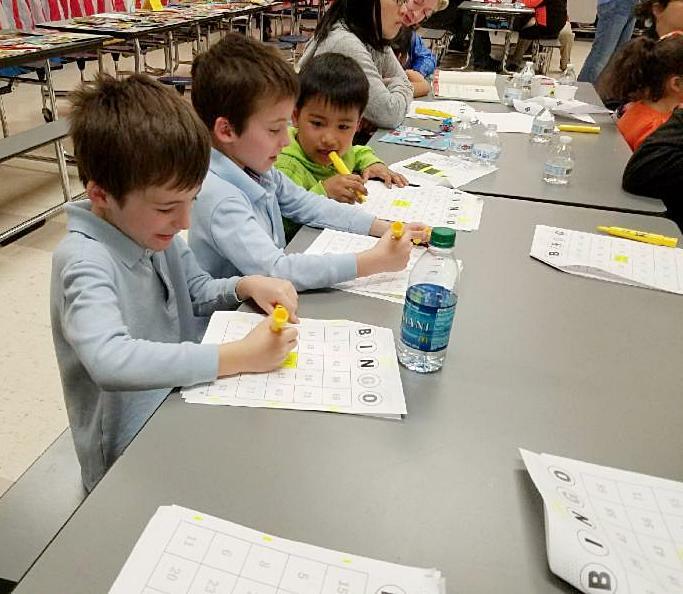 Patrick Henry Elementary School Played Literacy Bingo! It was a family affair on March 1 at Patrick Henry Elementary School in the City of Alexandria. 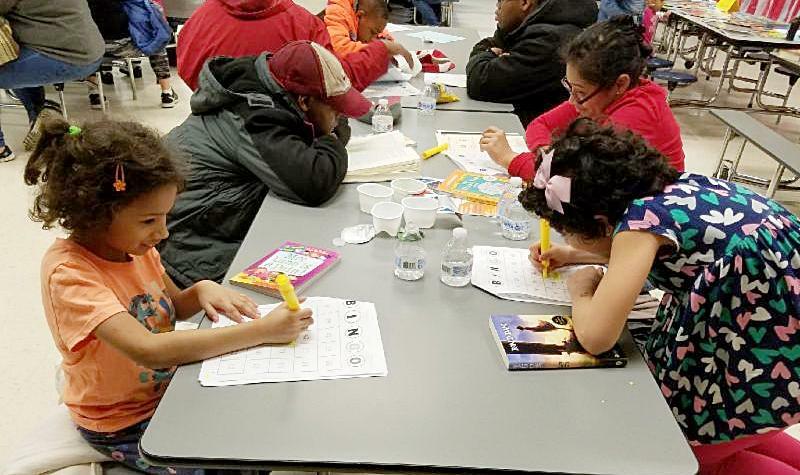 "Literacy Bingo & Community Outreach" drew over 125 students and family members to a rip-roaring game of book bingo. Snacks were provided for all in attendance. It was definitely a family affair and a celebration of the importance of family reading! 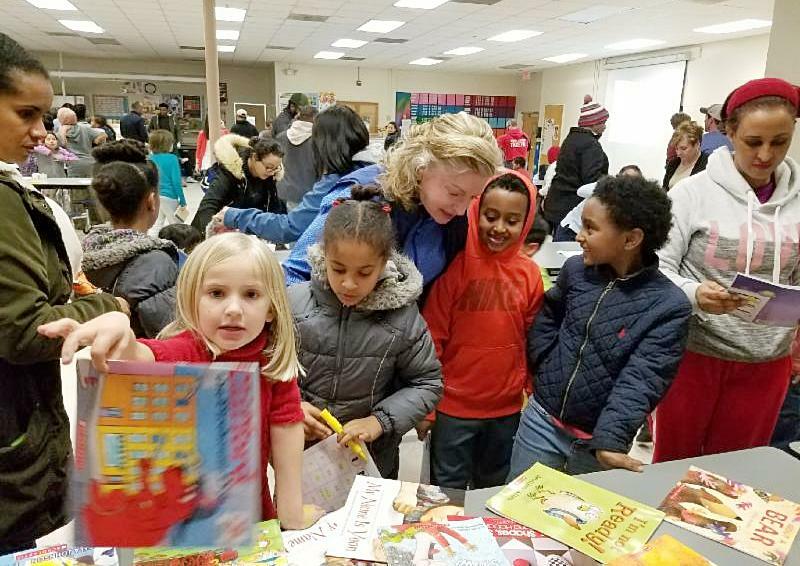 RIF of NOVA board member Glenna Orr helped children pick out a new book -- sure to become a family reading favorite! Liaison Kelsey Frey was there to give book advice, too! Book bingo! Fun for all ages...moms, dads, grandmothers, and even little sisters and brothers! 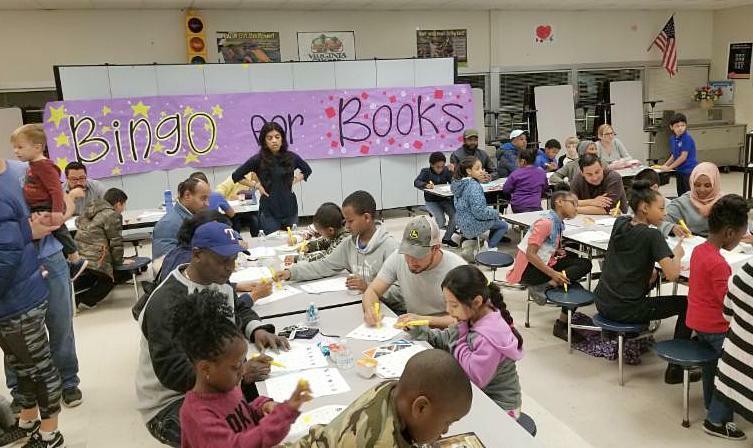 At Randolph Elementary School in Arlington, younger students team up with children from higher grades during the school year to create "reading buddies." 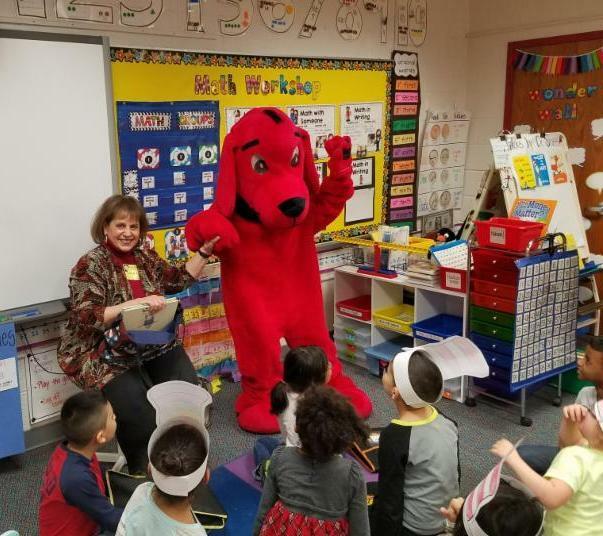 During the school's Read Across America RIF celebration in early March, buddies joined together to listen to some great stories and have some fun with a certain guest of honor -- well, you know who! NEA's Read Across America is an annual reading motivation and awareness program that calls for every child in every community to celebrate reading on March 2, the birthday of beloved children's author Dr. Seuss. 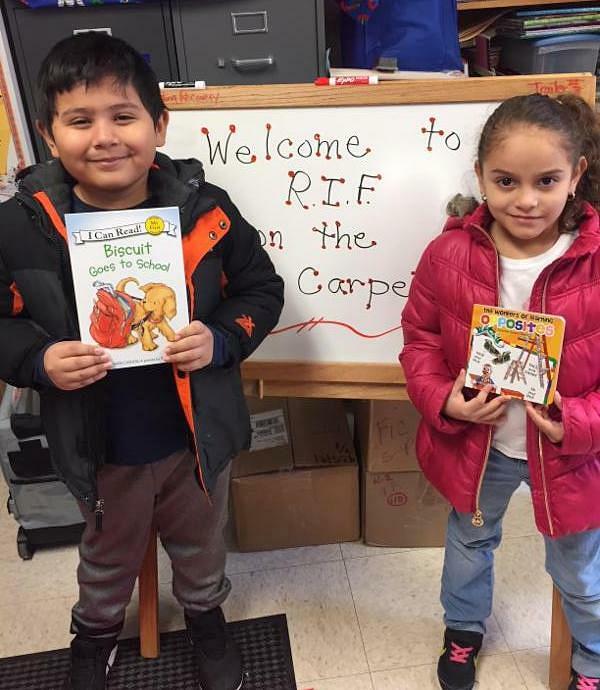 Read Across America Day is always a great time for a RIF of NOVA book celebration and distribution! 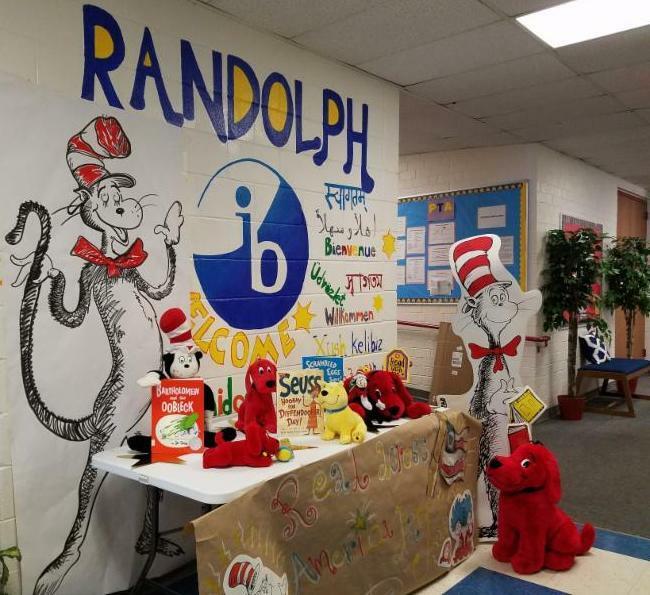 Randolph Elementary School students were abuzz with activity during their RIF of NOVA book distribution. RIF of NOVA board member Ann Godfrey read to a group of first and fourth grade reading buddies! Guess who helped?! We cannot do this without YOU!!! How can YOU help?